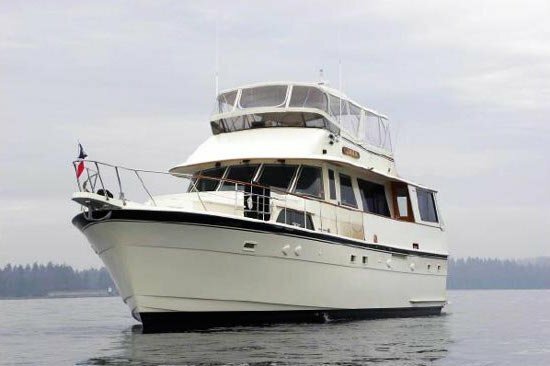 Charter this gorgeous 60' motor yacht right here in NYC. 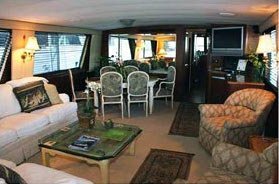 With a spacious interior to suit all events, she will truly make your experience memorable. 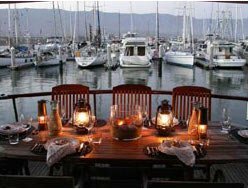 Whether you are looking to watch the sunset or take a trip to lady liberty, renting this boat will truly be an excellent trip. 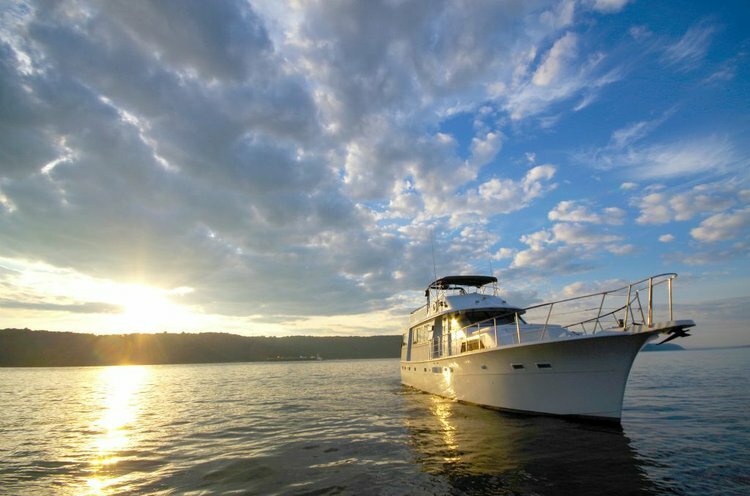 With local expertise from captain and the crew, they will take you to the best spots in New York harbor. Usually this boat operates around Brooklyn, NY. It’s easy to forget that New York City is an island, and that its towering buildings create the beautiful Manhattan skyline when viewed from afar. 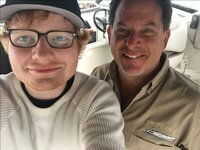 Whether you’re visiting or you’re a jaded New Yorker looking to have fun on one of our Long Island fishing charters, Sailo has the perfect boat for you. 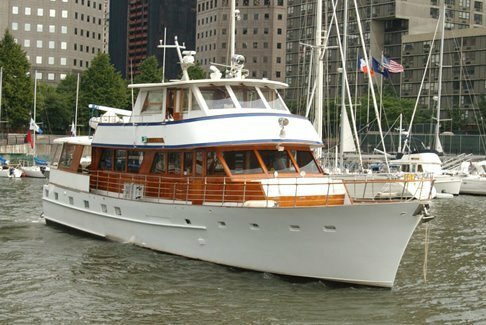 Go sailing NYC: explore the lively area around North Cove Marina or plan a Manhattan dinner cruise to remember. 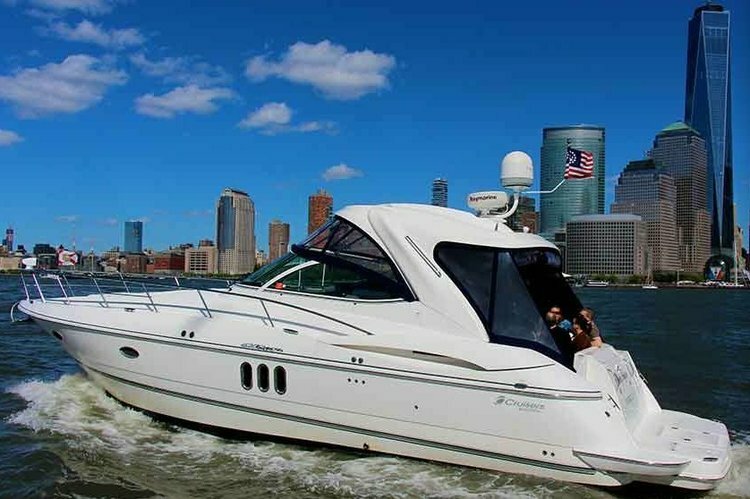 You haven’t truly experienced the city until you try the New York attractions by boat. 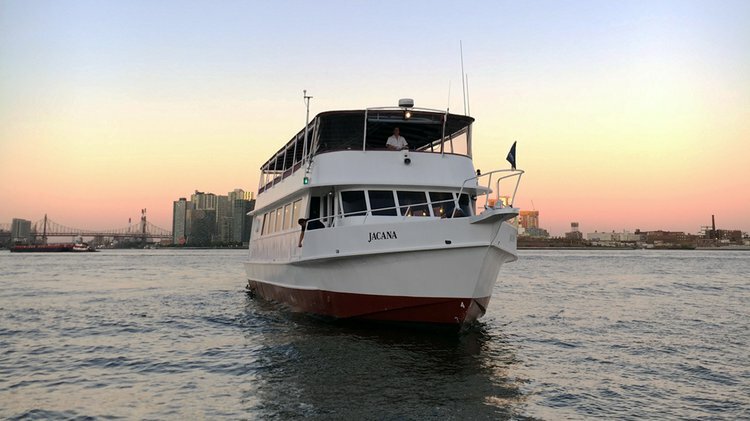 The Perfect Intimate Cruise in NYC!